Minister of Mineral Resources Gwede Mantashe told delegates on the last day of the 2019 Investing in African Mining Indaba on Thursday that his department’s plan to separate oil and gas from the Mining Charter and develop separate legislation for the extraction method would yield immediate impact. This as petroleum giant Total announced that it had made "a significant gas condensate discovery" in the Outeniqua Basin off the southern coast of South Africa. He said the department’s response to the nuances of industry provided those in the oil and gas sector with the confidence that comes with policy certainty. The Mining Indaba is a gathering of leadership in the mining industry, government and labour. The laws for investing and operating in oil and gas are set to be introduced after this year’s election. "Thanks to our work on the Mining Charter, we have managed to separate oil and gas from the charter, because that has to do with liquid and gas, while mining is rocks. Due to that, Total will be able to announce a deep sea find of gas today," Mantashe said. 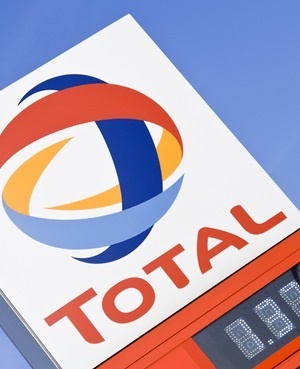 Total released a statement in which it said the Brulpadda well encountered 57 meters of net gas condensate pay in Lower Cretaceous reservoirs. "Following the success of the main objective, the well was deepened to a final depth of 3 633 meters and has also been successful in the Brulpadda-deep prospect," the statement said. The statement quoted senior vice president of exploration at Total, Kevin McLachlan, as saying, "With this discovery, Total has opened a new world-class gas and oil play and is well positioned to test several follow-on prospects on the same block." Mantashe also told delegates that even though signs in the mining industry point to moves away from coal, South Africa should rather invest in cleaner coal than abandon the commodity altogether.